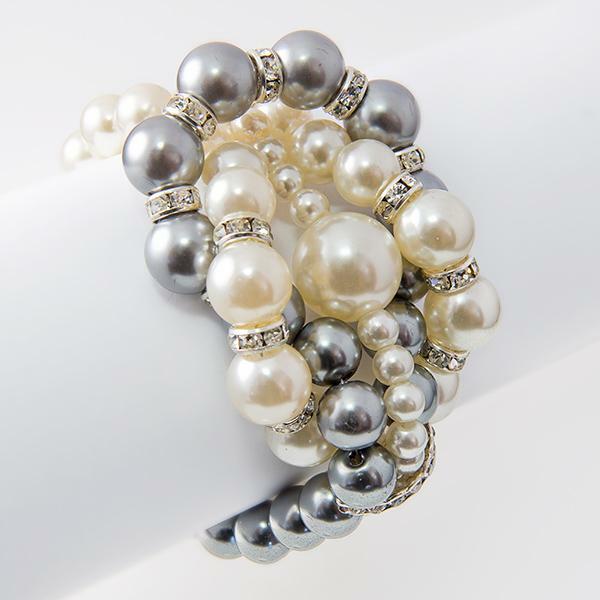 This elegant pearl braclet is three strands of white and gray pearls. Accented with silver and crystal roundels. Eye catching Interlocking pearl strands make this stretch bracelet a stunning piece. Lead compliant. Paired with our Pearl necklace and earrings SN08C this makes a beautiful set. Make a statement with this fluffy-brush writing pen. Only available in soft Blue, pink is sold out.